Did your giftee just build a hella-lit man cave in the garage? I bet it has a pool table, mini kegerator, giant flat screen TV and a bunch of super plush leather chairs. Or maybe they've excavated a nerd cave in the basement, complete with mood lighting, video game posters, and a huge collection of Zelda figurines. You know what those rooms probably don't have yet? 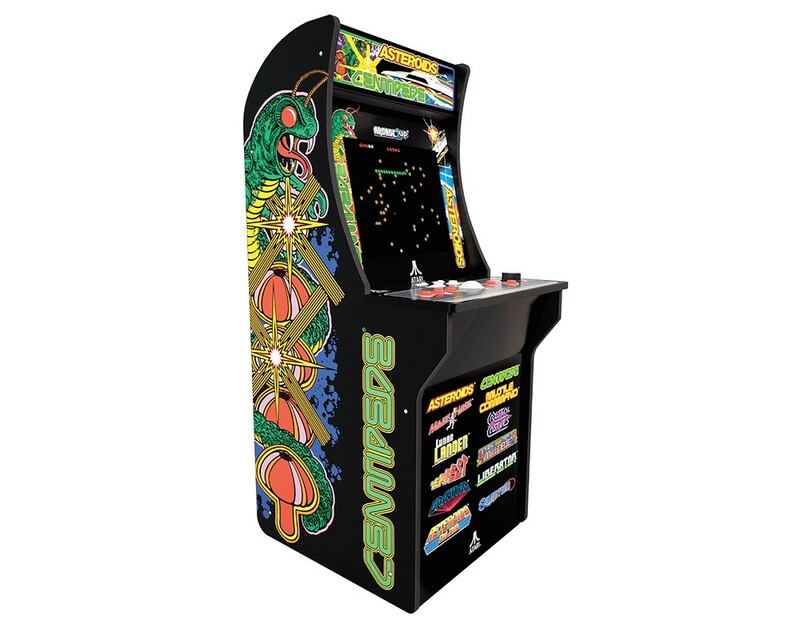 An arcade cabinet of your giftee's favorite ye olde classic arcade games. Turns out, you can buy modern replicas of classic cabinets with hundreds of games pre-installed. Additionally, you can buy these monolithic towers of nerdom just about everywhere, from Walmart to Extreme Home Arcades to Amazon to X-Arcades to custom-built on Etsy. Price points vary dramatically, from a couple hundred bucks (Amazon and Walmart) to several thousand (rigs from custom shops). Before buying, strike up a casual conversation with your giftee about "the old arcade days." While they're reliving memories of pockets heavy with quarters, sticky controllers and that neurotic, colorful '80s arcade carpet pattern, you'll be taking notes under the table on their favorite games and platforms. Craft your weapon and set course across the unbroken landscape to nab yourself a magnificent monster or five. In order to settle in the New World, dangerous beasts must be cleared from the untamed wilderness so that the wife and kids back home will have a safe, friendly new frontier to settle. After all, the Wild West was, well, wild before Little House on the Prairie happened. Not going to lie, the original Monster Hunter games were shackled to a steep learning curve. 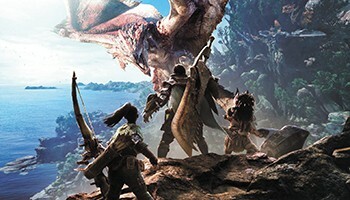 Monster Hunter: World maintained the original gameplay mechanics whilst bringing the difficulty level of the game down to somewhere between "reasonable" and "acceptable." Yee haw! Red Dead Redemption II transforms players into the rootin' tootin' shootin' cowboys we've always wanted to be. Saddle up and join a gang of ruffian lawbreakers as they cross the Wild West in escape of big bad bounty hunters and fearless federal agents. 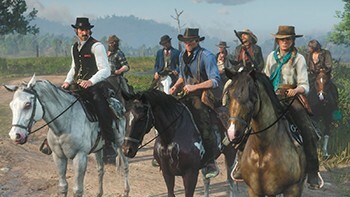 Touted as a perfect game by every game columnist and review board on the internet, everyone loves RDR2. Inspired storytelling, thorough attention to detail, seamless integration into the Red Dead series. Cool weaponry, realistic wildlife, kickass physics. Yada yada yada. It's seriously great. Just do it. Engineers went a little out-of-the-box when shaping this controller for disabled gamers. Instead of the handheld bricks we're used to, this adaptive controller was designed as a large flat pad that maps a number of assistive devices to your traditional controller's button inputs. 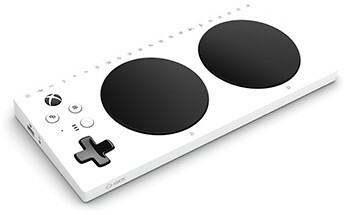 This means that for each individual, a set of assistive devices can be programmed to play any game in hundreds of configurations. Some of the assistive devices rock my socks off. The Quadstick enables completely hands-free gaming for quadriplegics (cool!). Another adaptor uses a round foot pedal (instead of a joystick) to move the user in 3D space. Large buttons. Small, mountable buttons. Big-handled switches. Teensy, tiny light-touch switches. One-handed joysticks. Two handed joysticks. Neat. Buy a virtual reality set for literally only this game. Dance Dance Revolution with lightsabers. Guitar Hero with dashing sword slashes. A sneaky way to trick yourself into exercising. 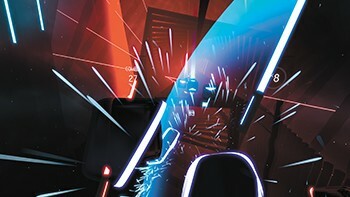 In Beat Saber, you hit VR cubes to a musical beat (much like Guitar Hero) and dodge obstacles along the way... but with lightsabers! Yes. Please. You can play with one sword in each hand or even that Darth Maul staff saber (the double-sided one). The music is a jammin,' beaty cornucopia of EDM, modern hits and techno. Watching gameplay on YouTube is even a blast, with game makers putting in the effort to create sword movements that mirror the Star Wars fighting style (although this game is in no way affiliated with Star Wars). Do I own Beat Saber? No. Do I own a VR headset? No. But I recommend you get one. The downside to VR is mostly the requirement for cold, hard cash. 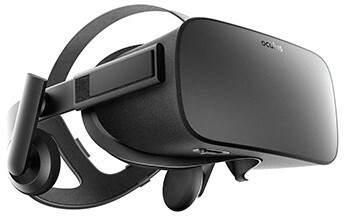 You need a PC to begin with (couple hundred dollars if you don't already have one like me), and then the VR headset on top of that (more than a couple hundred dollars). So unfortunately, an entire VR setup is a bit spendy. VR also isn't for everyone — some people get nauseous in virtual reality's multidirectional movement environment. The upside? Obviously Beat Saber. Aside from that glorious monument of a game, VR has a growing community of indie developers churning out some good stuff. I'd recommend rolling on over to a virtual reality arcade if you're not sure virtual reality is for you. Aside from the research you'll get on the technology, it's a fun way to spend an afternoon. Oh man, can a game get any more pure and innocent? Clearing land, managing farm animals, planting stuff, getting married to your one true love, mining, tending, raising... a whole basket of adorable wholesomeness. 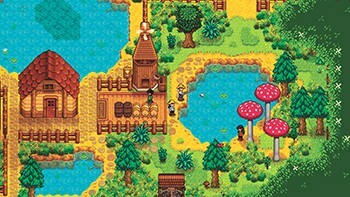 If you liked farming in Minecraft, you'll love this cute lil' game. If you like wasting several consecutive hours feeling warm and fuzzy, you'll adopt this game into your heart with open arms. Stardew Valley isn't exactly new to the market, but it got a major update this year — now with multiplayer and a bouquet of new content! I liked Octopath Traveler because, as the name suggests, you walk in the shoes of eight different characters. 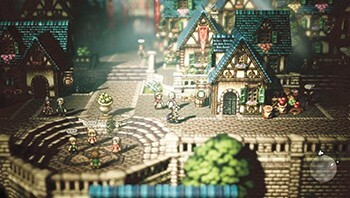 Each character's individual gameplay focuses on unique storylines, distinctive in the fact that there isn't an overarching plot for the game. For side quests, think of Dungeons and Dragon's character stats — thief, merchant, dancer, scholar, hunter, etc. You must utilize your character's proficiency in each one of these areas instead of mindlessly mashing the same combos, with the same tactics, over and over again. This varies the gameplay and spices up the brain-ticking puzzle solving gamers love. Will everyone just shut up about Fortnite? This game rakes in a hefty $300 million a month because it's simply so kickass, so if your kiddo hasn't kneeled at your feet begging yet, they will sometime soon. Maybe you've already gifted your child with Fortnite earlier this year? So, wanna know what your tiny humans are up to? 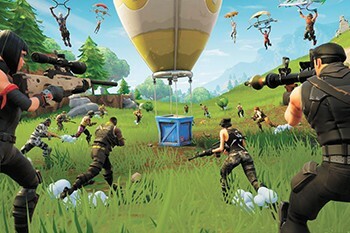 Fortnite is essentially an open-world survival game with melee, resource collection and good old weapons-making. A paired-down version, Battle Royale, pits 100 players against each other using the parent game's mechanics. Interesting factoid: Fortnite: Battle Royale is free to play! Honestly, I'm too much of a filthy snobby hipster to get into Fortnite. To each their own. 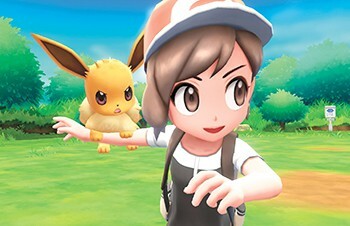 Two flavors of the same game caught my eye this year, Let's Go Pikachu and Let's Go Eevee. You'll be the flyest trainer in the region as you cruise around Kanto with your trusty pokemon at your side. Get the Poké Ball Plus, a separate real-world poke ball that integrates with the Switch and feels ultra-authentic. Gameplay is well... on par with what we expect Pokémon games to be. Children are entranced by it. Adults play this guilty pleasure deep into the wee hours of the inky night. But the real question — when will the Pokémon enterprise ever release the planet from its all-encompassing fervor? When will we be free of these tiny whimsical character and the never-ending, high pitched squeal of "piKAchuuuu!"? The original print version of this article was headlined "Video Games"